The man behind the Epic Mickey games says he's grateful for the opportunity to be a part of Disney history. 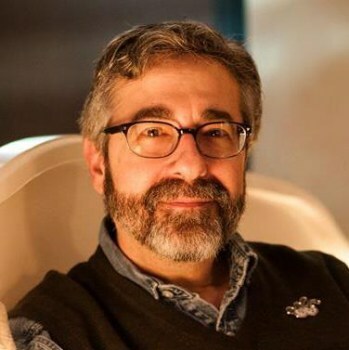 Disney confirmed the closure of Epic Mickey developer Junction Point Studios yesterday, bringing an end to Warren Spector's Mickey Mouse adventure. But in a message posted on his Facebook page, Spector expressed nothing but gratitude for what he called Junction Point's "good eight year run." "I got to work with some amazing people on some amazing projects. I've had some of the most magical times of my life, fulfilling several life-long dreams. I've gotten to know Disney fans and Disney cast members, gotten hands on with Disney's history, walked where Walt walked... 'Magical' really is the only word," he wrote. "Whatever you think of me, or Junction Point, or Disney or the Disney Epic Mickey games - yes, I know we polarized people! - I'll always look back on the last eight years with nothing but pride," he continued. "Rarely have I worked with a team more dedicated or harder working. Never have I been part of a game - of anything, really - that touched people at as deep or personal a level as the Epic Mickey games. That's priceless." Junction Point's fate was sealed by sub-par sales of Epic Mickey 2, which the NPD Group now says sold 529,000 units in November and December 2012 across all platforms. That's a dramatic improvement over the initial report of 270,000 units but still far short of anything resembling a hit. The original Epic Mickey, a Wii exclusive, managed 1.3 million unit sales over the same period in 2010. "I said to myself as Junction Point embarked on the Epic Mickey journey that, worst case, we'd be 'a footnote in Disney history.' Looking back on it, I think we did far better than that," he wrote. "With Mickey Mouse as our hero, we introduced a mainstream audience to some cool 'core game' concepts... and, most especially, we restored Oswald the Lucky Rabbit to a place of prominence. WE did that. Junction Point." Spector also noted that he hasn't yet decided what he'll get up to next, and asked journalists to please not bug him about it.